Minivans are still widely looked at as a “mom” car but now Chrysler is pushing past the conventional image of minivans with their new Pacifica and the “Dad Brand” ad series that followed. 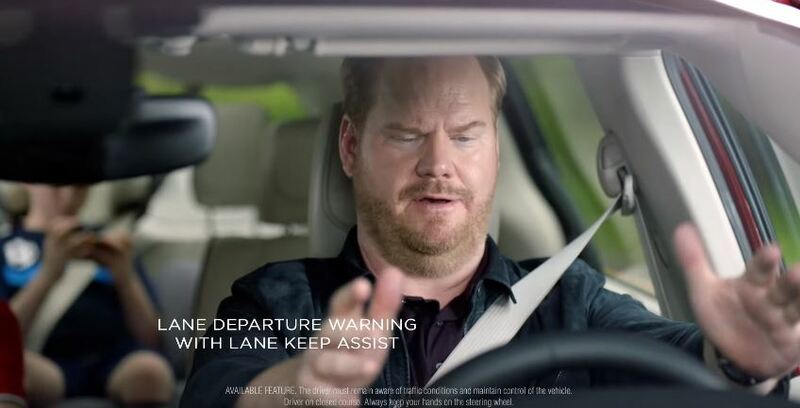 Back in April, Chrysler teamed up with actor and comedian Jim Gaffigan, his wife, and their five kids to come out with their new “Dad Brand” ad campaign. The commercials draw a parallel between what Jim thinks being a great dad is all about and how the Pacifica can help him maintain that “Dad Brand”. Every episode starts off with this question; “what kind of man drives the all-new Chrysler Pacifica?” And in each video, he admits that the vehicle is what’s helping him with the dad brand upkeep. Originally, only 5 videos were released and each one highlighted different features of the Pacifica, from the park assist and sliding doors, to the rear-seat infotainment system. What is missing from the series is any mention of the Hybrid Pacifica which is a first for the minivan segment but, they did do a good job with the other key features. Now, the series has expanded to 17 episodes and the features are all introduced with Jim’s comedic, tongue-in-cheek commentary. Seems like the showcase colors for the Pacifica is the Red Velvet with Alloy interior and the Granite Metallic with the mocha interior. There is only one video for the vacuum that has a white with mocha interior combo. All videos are for the limited too. I thought they would have done more white and more of the billet silver. I think the granite might be the goto color to represent the town and country for years and now the Pacifica. They added 5 more videos to the collection yesterday. Now they are doing direct (albeit exaggerated) comparisons against the competition. Definitely one of the requirements in the marketing department. If it's not exaggerated, Throw it out !